Milazzo was founded by Zancle inhabitants, today Messina, as a sub-settlement in a peninsula and promontory outstretched towards the Arcipelago of the Eolie islands forming a circle few miles off. A Hydrofoil boat and ferry-boat service connects Milazzo with the above-mentioned islands. 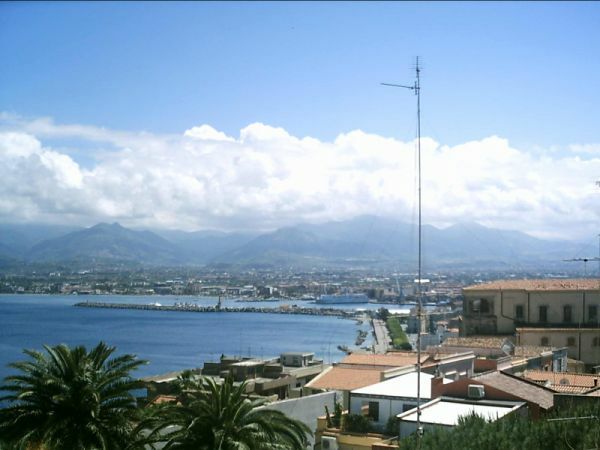 Milazzo, set over a gulf, has two beaches, a pebbly beach (in the west) and a sandy one (in the East). 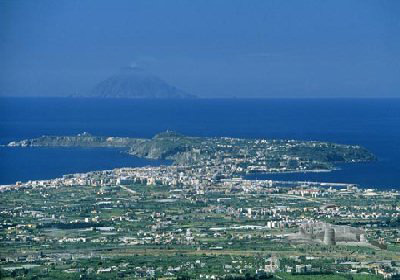 The ancient Mylai, which the Romans called Mylae, the Arabs Melaz and then Milazzo, is rich in mythological legends. This little town was a country of harsh battles too, because of its strategic position, as it is proved by its fortress where many owners followed one another. The places worth visiting in this little town are so many. First of all the Arab-Norman castle, considered national monument with a surface of over seven hectares. 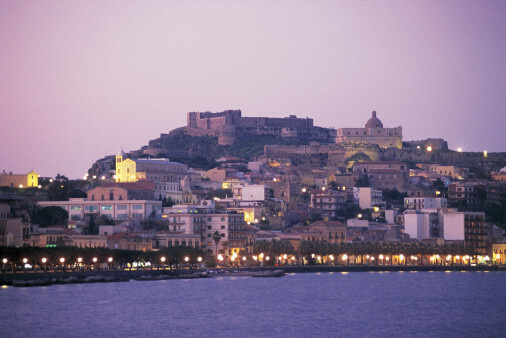 It is formed by seven walls and stands out against Milazzo view, just at the top of the ancient village. In 1608 in its interior rose the cathedral. The ancient village is the oldest part of the town including the fortified “Citadel” which, from its height, commands a view over the medieval quarter extending downward along the sloping side of the hill. Inside the village there are several religious buildings such as S.Francesco di Paola Sancuary which was founded by the Saint himself on occasion of his stay in that town (1464). A cannon-ball is set inside the wall on the right side of the church. The cannon-ball was shot from the hill by the Bourbonists during the famous battle against the Garibaldi’s followers. Going on your way you meet the “Madonna del Rosario” church, which was the seat of Inquisition Court till 1782. 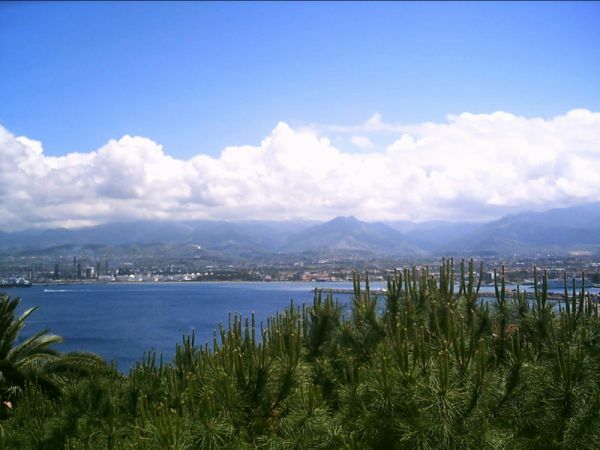 In less of 5 Km by car, going along the splendid Garibaldi sea-front, which has the function of linking together the harbour, the modern centre and the ancient village, you take a panoramic road which runs in the East of Milazzo promontory. Once you have reached Cape Milazzo you’ll enjoy a wonderful seascape, a real sight of colours over the cliff and much more widely, over the Eolie islands, the Sicilian - Calabrian coasts and the chains of Peloritani and Nebrodi Mountains. From S.Antonio square a flight of steps climbs down leading S. Antonio from Padova Sanctuary. It was dug out of the cave where, as tradition as it, the Saint sheltered from a storm in 1221. A place of faith since that time, the cave was transformed into a sanctuary with altars, marble coverings and stucco bas relieves representing scenes of the Saint’s life. Coming back towards at the centre and exactly on the strip of sand of the coast facing west, a coasting road, running parallel to the sea, leads to Polyphemus Cave, where, as tradition has it, there was the mythical Homeric episode when Ulysses met the Cyclops. The wide and charming beach of “Tono Bay” stretches opposite the Cave. Not less important is the so called “Low Town” which is the most recent zone built in the XVIII Century when it was decided to desert the high town, the Ancient Village, to settle at sea-level. The centre of low town is “Caio Duilio” square which is flanked in the East by the “Proto Marchese” Palace, Garibaldi’s General head quarter, and in the west the elegant façade of the Carmine church. A little forwards is situated the new Cathedral, building which dates back to 1930s. A particular importance is to be given to all those monuments which testify the very rich history of this town. The War Memorial in Roma square, the Statue of Liberty standing at half-way of “Marina Garibaldi” on whose pedestal decorated with inscriptions, there are some relieves in bronze representing Garibaldi defending himself with sabre against a borbonic cavalryman. This monument is very much like the famous one standing in New York. There are many refined villas which decorated the Tyrrhenian little town, such as Villa Vaccarino that dates back to 1929. The villa keeps very fine wooden, forged iron enclosures with floral friezes in the elegant garden where stands a delightful fountain basin equipped with an artificial islet representing Sicily. Buccafusca Villa is a wonderful building, typical of those years which followed the 1908 earthquake. Other Neo-classic villas with Gothic and Renaissance influence and whose building dates back to the early years, of the 19th century, rise along Cape Milazzo Promontory. 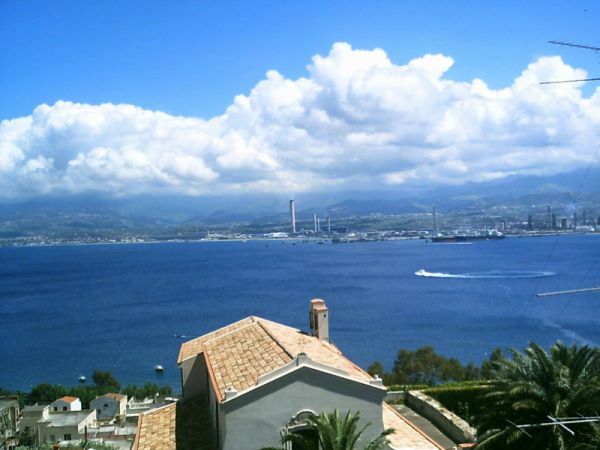 Panoramic villas overlooking both the East and West coastline are Villa Bonaccorsi, Villa Calcagno, Villino Grillo, Villino Lo Presti, Villa Rizzo (which belonged to the famous admiral) etc. Noteworthy are the buildings located on the either side of the street in Milazzo. First of all the Town-hall planned between 1886-1887, also called “Eagle Palace” referring to the civic heraldic emblem, which with its neo-classic architectonic forms, overlooks the harbour. Two central marble slabs report testimony about the patriotism of Milazzo inhabitants and the Garibaldi’s followers victory on 20 July 1860. “Proto Palace” which in 1806 housed the Royal Borbonic family overlooks Carmine square. Its façade has a arc main door which was at first adorned by four columns supporting the large balcony on the noble floor. Along Giacomo Medici street rise several palaces such as Palazzo Bonaccorsi, Palazzo Catanzaro –Gemelli, Palazzo D’Amico-Gullotta, Palazzo Cumbo-Borgia. The beauty of the environment and the landscapes as well as both the biological and ecological importance are not restricted to its surface, regarding not only the pearl of the Tyrrhenian Sea and the fabulous scenery of the Eolie Islands, but continue under water. Beneath a limpid and crystal sea the greatest surprises, the most unusual and interesting forms of life, the brightest colours and the most fascinating sceneries are concealed.